“QuickBooks Enterprise allows everyone in the brewery to know what we have and what we need.” - Tomme Arthur, Co-Founder and Chief Operating Owner, Port Brewing LLC. Our clients range from start-ups to rapidly expanding, multiple-location businesses. 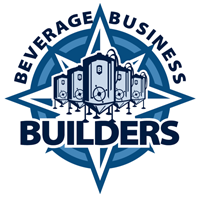 Beverage Business Builders is dedicated to people who want to do things right. I am fond of telling master brewers, "Without money there is no beer, without beer there is no money." Searching the web for answers to a technical issue is pretty easy. Searching for business answers is much harder. My passion is helping companies grow to the next level. No one knows where the industry will top off, but I'm here to help people with every step of their journey. If you want to start brewing commercially, I can help you think like a business. If you want to open a taproom (east of the Mississippi) or tasting room (west of the Mississippi), I can explain what you need and how you need to do it. If you want to expand into another territory, I can tell you what to watch out for. Please take a minute to read about my experience and contact us. I look forward to talking about what we can do together. Our Clients Come in Many Shapes and Sizes. From beverage maker to business owner, you created the beer. Now it’s time to create the business. Let us help take you from concept to bottle, and actually opening up for business. Congratulations! People love your beer, but success breeds a whole new set of challenges. Lucky for you, we’ve been there and can help you get to the next stage of your thriving business. Distributors are romancing you, telling you that there is a ready market for your beer in their area. We can help with long range planning, a material resource plan, and picking the right distribution channels. While attending and speaking at the 2019 Brewery Accelerator Workshop in Denver, I answered questions following my presentation: Business Advice for the New (and not so new) Craft Brewer. Your plans for any kind of administration should be based upon where you want to take the company. If you are going to be a “tasting room” only, that means that you will have to keep your overhead lean and mean. If you are planning for AB-Inbev to take you over in five years, then you had better plan to be an attractive target. Congrats, you've been handed the best job in the world–the CFO of a brewery! Now how can you be successful in craft brewing? I’ve often told people that my job was the intersection of power, emotion and money. Since I wish that someone had sat me down and explained this industry and how it works, I'm sharing my experience in a regional craft brewery in ten distinct words of wisdom.